Bismillah.. In the Name of Allah the Most Merciful..
Subhanallah 25 fasts already done only 4 or 5 to go inshAllah. How quickly time passes! Lot of people are saying that yesterday was the night of power. Yesterday I was very tired. I did pray and tried to be awake through out the night but I am sure the quality of my worship wasn't that good. I felt quite sad but I realized my sadness should be a sign that I want to worship Allah subhanahu wa ta'ala as much as pssible and with the best of my abilities inshAllah. I hope to remain awake the last couple of nights and do my best in pleasing Him, bi'idnillah. One sister said it really well... "I am sure many of you have read about the Signs of the Night (Laylatul Qadr) and that it's 'over'. Don't slacken your worship or lose the enthusiasm of performing good deeds just because people say it's over. Allah wants us to maintain intense worship till the last second of Ramadan. Worship is not a game of chance but a continuous long term process. Keep going, even after Ramadan. Lailatul qadr is not the aim of worship. The aim is whether we are transformed into better souls, after a month of fasting and extra prayers. 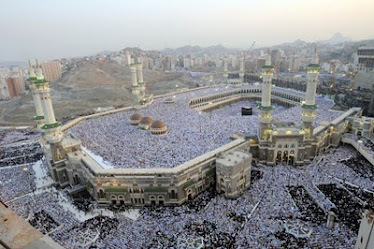 Seeking nearness to Him is a lifelong process and may we be consistent in our deeds, Amiin." Today I have tried to be a good cook alhamdulillah. I don't like to spend that much time in the kitchen. But if I have guest coming, I try my best to cook some good food. I have been watching brother Danyal Laskar's show 'Danyal's Kitchen' on Ramadan TV Sky 192. He loves his fusion cooking. 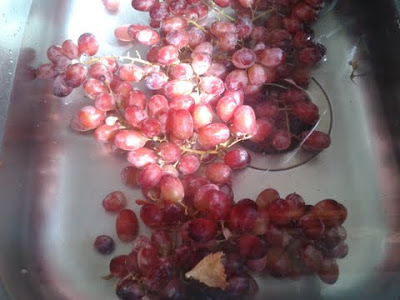 He did a homous recipe with roasted auberjine. It sounded quite interesting. So I tried to make it today. Now I have fallen in love with it, alhamdulillah. It's a very simple recipe. 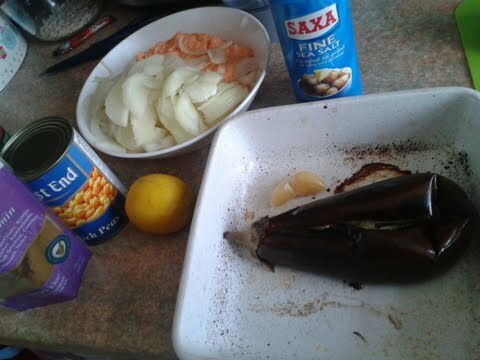 Roast a aubergine in the oven until the skin is very crispy and the flesh is cooked. Scoop out the flesh of the aubergine and blend it with one can of chickpeas, half spoon cumin powder, salt, paprika, freshly squeezed lemon ( half a lemon), two cloves of fresh garlic, two table spoon Tahini ( I don't have it so I added two table spoon of garlic and herb soft cheese just to give it a creamy texture). Just blend it until the texture is very smooth. You can add water if you think it's too thick. Before serving sprinkle some paprika, cumin, chopped parsley and drizzle some olive oil. 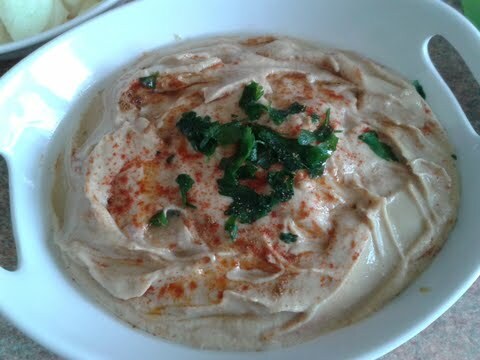 It tasted really good with toasted pitta bread. InshAllah I hope to make it on a regular basis. 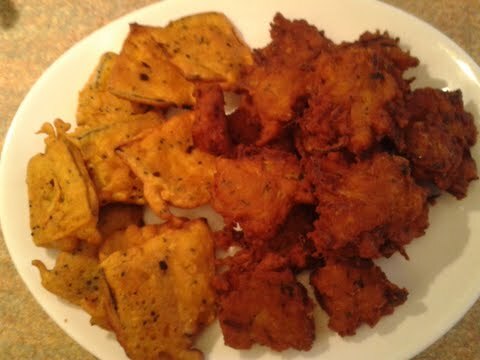 I also made piyaji which is a savoury snack frequently served during Iftaar. 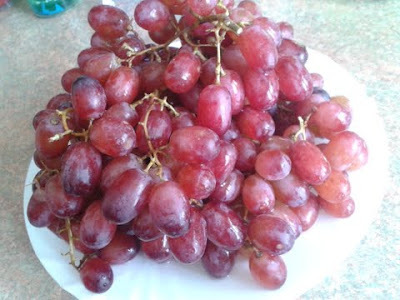 It's very yummy but can be quite fattening so I make it not that very often. This is my mum-in-laws's recipe. She is an excellent cook. I don't think my one tastes that good like her ones. But I am kind of content with my third attempt alhamdulillah! Soak up 1 cup of Red lentils in a bowl with three/four cups of water. I do it for 10 hours. She keeps it for 24 hours. 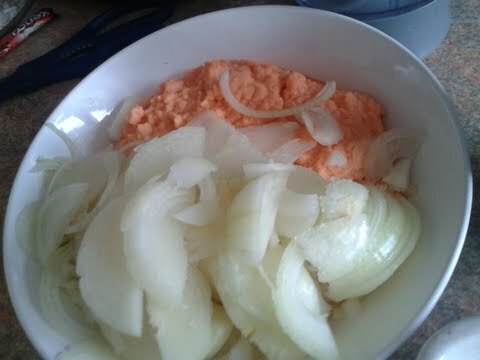 Then blend it smoothly with couple of fresh ginger pieces. You may need to add a tiny bit of water but make sure its not too watery. The texture should be smooth but not runny. Add four quite big pieces of onion sliced very thin ( I cant do it like my mum-in-law, her hands are like machine mashAllah) 1 table spoon of chopped coriander, salt, turmeric, chilli powder and mix it really well. I do it with my hand. Then fry it until it's golden in colour and crispy in texture. Make sure you put quite a lot of sliced onion, otherwise if the quality of lentil is more than onion, it will be called lentil balls/cake (Daler Bora) , not piyaji anymore. Piyaj means onion in Bengali. That's why this recipe is named Piyaji. I also made Beguni. Begun means aubergine in Bengali. So these are just slices of aubergine coated with chickpeas flour, salt, turmeric powder, chill powder, cumin powder, ginger powder, nigella seeds and water. Then fry it until golden in colour and crispy in texture. Alhamdulillah it was a good iftaar. Very simple three recipes and quite a lot of fruits, melon. honey dew melon, papaya, grapes, Alhamdulillah. 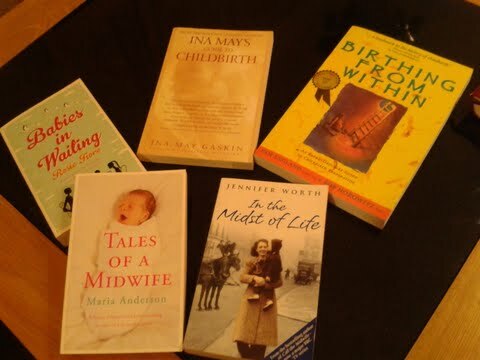 On a different note, today one of my sisters have returned some books she was borrowing from me. I was just thinking what a birth junkie I am ! After iftaar, for me the hardest task is to tidy up all the mess in the kitchen. 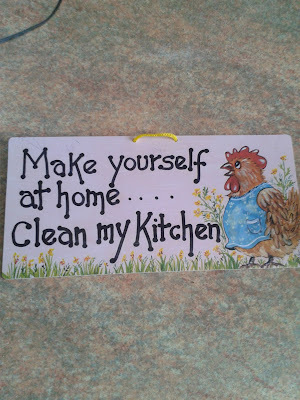 I love the cooking part but I am not a big fan of cleaning and tidying up :-( Just the other day I bought a plaque for my kitchen "Make yourself at home...Clean my kitchen" , which kind of sums up my attitude towards this tiny room with sink and hob. 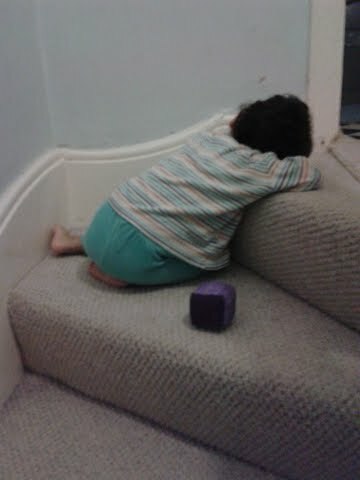 When I went upstairs around 10, I saw my baby sleeping on the stairs! Subhanallah he must have been waiting for me and just felt asleep there. 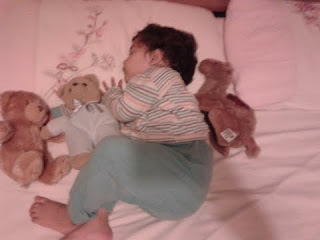 He loves his two teddies and the camel, Jamal to bits. He must have them when he goes to bed. Even Iftaar time, he makes sure his teddy and camel are sitting on the table too. Kids are so cute mashAllah. I try to always take photos to capture all the cuteness and keep them as sweet memories inshAllah. They grow up so quickly. Enjoy every moment with your kids.